My team and I look forward to welcoming you as our guests at Banyan Tree Chongqing Beibei and we look forward to making your stay an unmatched experience to remember. Banyan Tree Chongqing Beibei hotel makes its address at the foot of Jinyun Mountain Natural Reserve and is the Banyan Tree Group's first hot spring resort. Warmly nestled within a glowing expanse of green hillocks, meandering brooks and scenic mountain views, the resort offers you the opportunity for restorative living in a contemporary setting. 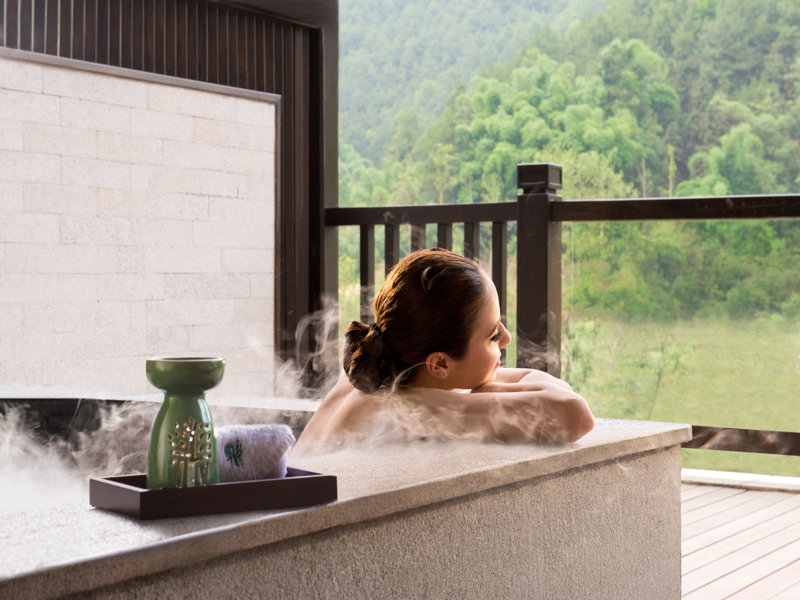 Nestled at the foot of Jinyun Mountain Nature Reserve, the resort presents a sanctuary of 107 suites and villas fitted with a personal hot spring dipping pool fed by the healing waters of the North Hot Spring so guests can enjoy the water's healing benefits in privacy and comfort. Jin Yao Xuan serves a myriad of the region's celebrated hotpot cuisine featuring fresh, seasonal produce. Well-ventilated and richly decorated, there are four private dining rooms. Ming Yue is where guests will find glorious buffet breakfasts, à la carte lunches and themed dinner buffets. The restaurant also offers international selections, including delicate Hong Kong-style dim sum delicacies. Those with refined palates will appreciate the subtle flavours of Bai Yun's authentic Cantonese fare. The elegant dining venue features semi-private rooms, private rooms and an exclusive VIP dining room that hosts 20 guests. If you love wine, whisky or expertly blended cocktails, prepare to be pleased with Qing Feng's extensive selection. Appreciate the slow burn of excellent whisky with a tapas menu that changes seasonally.